Vancouver Island is home to a stunning array of tree species, both hardwood and softwood, and some of the biggest trees in the world. Did you know that we have the world’s largest crab apple tree? Not many people do…. We also have the biggest yellow cedar (cypress) tree on earth – in the Big Tree Creek area of Sayward. 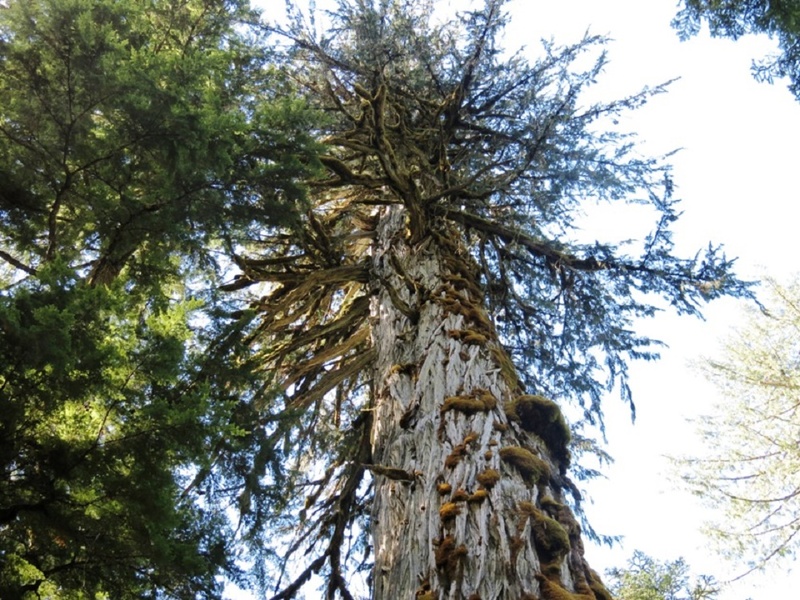 The west coast’s Carmanah Walbran region boasts the world’s tallest sitka spruce. Canada’s biggest red cedars grow in the Cheewhat Lake area, and the lands around Red Creek are home to the world’s largest douglas fir tree. I have seen some of these big trees, and can tell you, that when you stand beside one of them, you know beyond a doubt that the world still has giants living in it. When l was a boy, Vancouver lsland was mostly covered by a splendid, vast rain forest of gigantic trees. Even though we have logged a large portion of this remarkable woodland, there are still large, thriving tracts of forest left. We have a number of large, impressive parks on the lsland, and if we can keep the government of the day away, we might just be able to keep them intact. Strathcona Park on the western edge, has many big trees that can be accessed. My favourite entry way is by crossing Buttle Lake from the Auger Point day use site. You’ll find the trail head at the outflow of Philips Creek, that takes you up to Marble Meadows. About half way up, you’ll come onto a very large bench of land – there are the giants! The trees here are at least 20 metres apart, yet the canopy is luxurious, leafy & thick. The undergrowth is surprisingly sparse, as if you’ve stepped back in time to before man first walked here. I always enjoy this spot! The Sayward Valley’s White River Park is a wonderful wilderness area, where elk, deer & black bear are commonly seen. 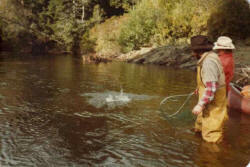 They’re as abundant as the incredible fishing along the river that runs through it. There is a great trail that heads down to the river, and goes through some giant douglas firs, red cedars & spruce trees – a sight to behold! 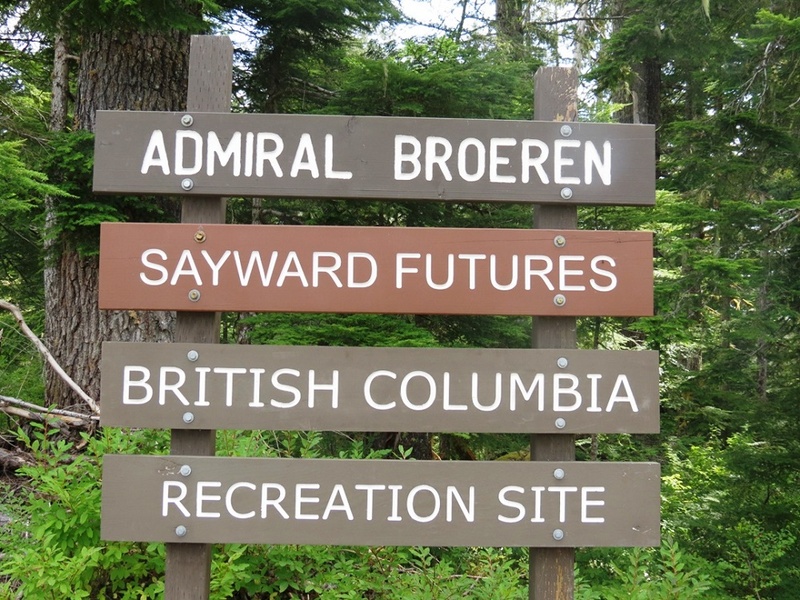 Adding to this splendour, are amazing stands of maple trees, garry oaks and arbutus trees.Catherdral Grove forest, on the Port Alberni road offers easier, and more direct access. With its many trails and beautiful trees, it’s a marvellous place to explore. So what are you waiting for? 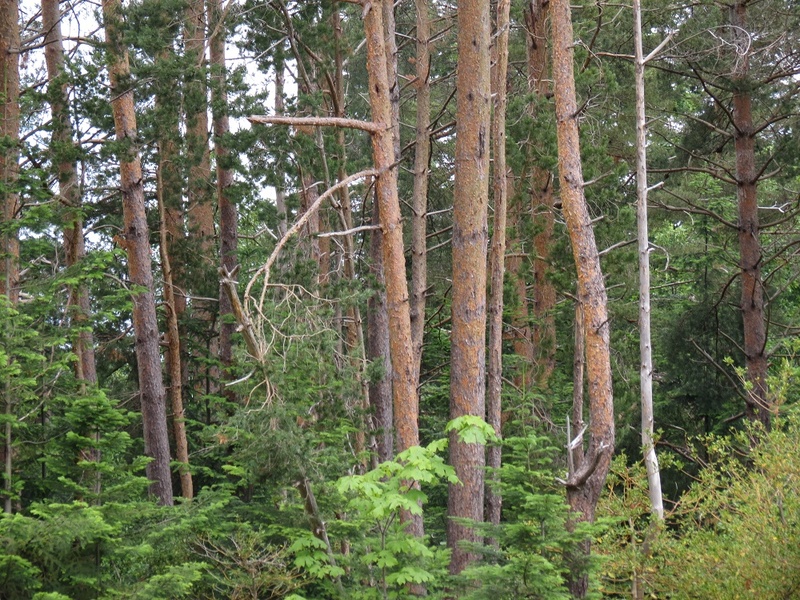 Grab your boots, put on your toque and take a walk in the forest – its good for you!